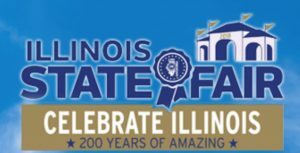 Illinois State Fair officials reported a small drop in attendance, but higher vendor sales during the fair’s 11-day run in Springfield last month. SPRINGFIELD — The latest USDA-National Agricultural Statistics Service Illinois Crop Production report notes that based on Sept. 1 conditions, the Illinois corn yield is forecast at a record 214 bushels per acre. This is up seven bushels from the August report and up 13 bushels from 2017. In addition, production is forecast at 2.32 billion bushels, up 5 percent from last year’s production and the second highest on record. All of this is being accomplished, incidentally, on 11 million acres planted area, 2 percent less corn acreage than in 2017. As for soybeans, the NASS production forecast of 716 bushels is 17 percent greater than 2017 production and the highest production level on record. Soybean planted area is estimated at 10.9 million acres, which is 3 percent more than in 2017, with a harvested area forecast at 10.85 million acres, which is also up by 3 percent. The soybean yield projection of 66 bu./acre is up eight bushels from last year, according to the Sept. 12 report. SPRINGFIELD — By the time you read this copy, the number will have increased, but the Illinois corn crop was 4 percent harvested by Sept. 10, according to the latest Illinois Crop Progress and Condition report. Corn dented stood at 96 percent, compared to 80 percent last year, while mature corn was rated at 56 percent, vastly outpacing the five-year average of 29 percent. Soybeans coloring had reached 75 percent, compared to the five-year average of 39 percent, while 37 percent had dropped leaves, compared to 12 percent last year. The soybean harvest was 1 percent complete, which is unusual as soybean harvest is rarely rated this time of year. The crops received a last minute boost from heavy rains that swept across Illinois before skies cleared and allowed 3.9 days suitable for fieldwork, the report stated. This means that combines and support vehicles are rolling in the fields and on the roads, making for an earlier harvest than motorists are normally used to. Watch out for them, farmers, and stay safe! URBANA — The Chinese tariff on U.S. soybeans led to a large drop in soybean prices, which somewhat ironically led to a jump in soybean exports from the U.S. over the last quarter of this marketing year. This is according to the USDA soybean export estimate for the 2017-18 marketing year, which currently sits at 2.11 billion bushels, an increase of 45 million bushels since the June estimate. Discussion a graphs associated with Hubbs’ article are available at www.youtu.be/DMAX25KqyP8. SPRINGFIELD — Tariffs resultant to trade wars are impacting the 1.8 billion pork industry in Illinois, threatening job security and livelihoods of the 10,500 Illinoisans employed in the industry. “While the entire agriculture industry is struggling with similar issues, the pork industry is shouldering much of the burden,” said Jenny Jackson, director of communications for the Illinois Pork Producers Association, in a news release. The board chose Korea as the recipient of the funds due to their consistent increase of imported U.S. pork. Net pork sales to Korea had risen by 216 percent and tons of pork by 37 percent in the week of Aug. 3-9, according to USMEF statistics. Smithfield Foods’ pork shipments jumped as much as 50 percent in the first six months of the year as those to China fell by 20 to 30 percent, according to Smithfield parent company WH Group. 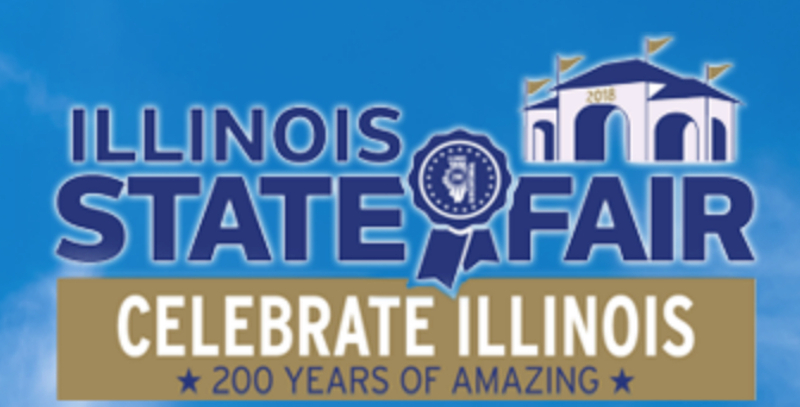 SPRINGFIELD — Illinois State Fair officials reported a small drop in attendance, but higher vendor sales during the fair’s 11-day run in Springfield last month. The 369,144 attendance count reflected an 8 percent decrease from 2017 attendance, but fairgoers appeared to be spending more at this year’s fair. The Illinois Department of Revenue reported sales receipts of $1.392 million and collected $87,036 in sales taxes; both figures were 16 percent higher than in 2017. The first Saturday of the fair, Aug. 11, saw the most attendance with 44,209 passing through the gates. The following Saturday, Aug. 18, saw the second highest attendance of 39,961. Agriculture Day, held Aug. 14, had the third-best attendance with 39,310 visitors.